A note came round, a couple of months back, about the idea of a dinner to drink some 1996’s. The logic (as if one is needed) being that for the majority of those who might come along would have started in the wine trade around the time that the 1996’s, in most regions, were released. We ended up as eight people which is probably a good number for sharing a bottle. I did a brief sum and recon we had about 150 years of wine trade experience amongst the group. 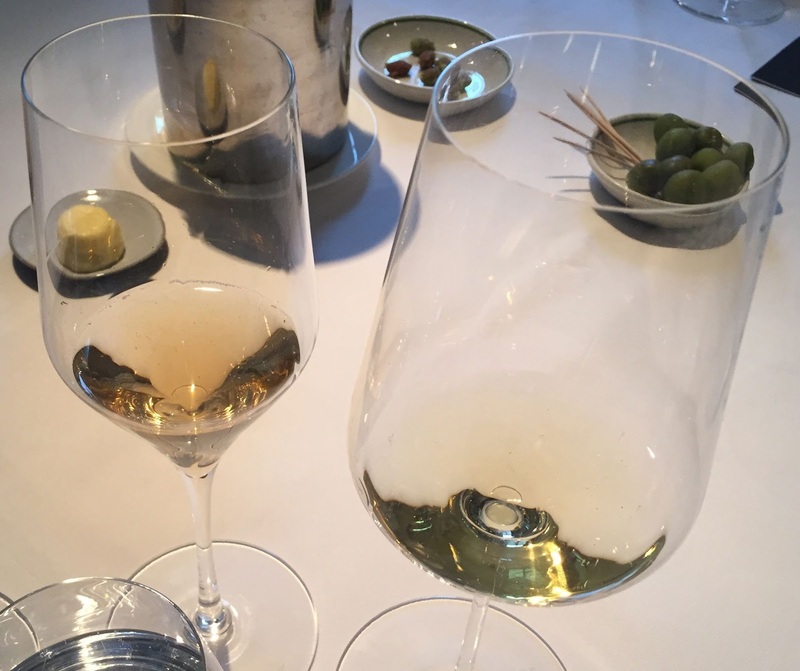 For another version of events have a look at this blog from a regular vinous sparring partner of mine, the often contrary Mr Fowler – Vinolent. 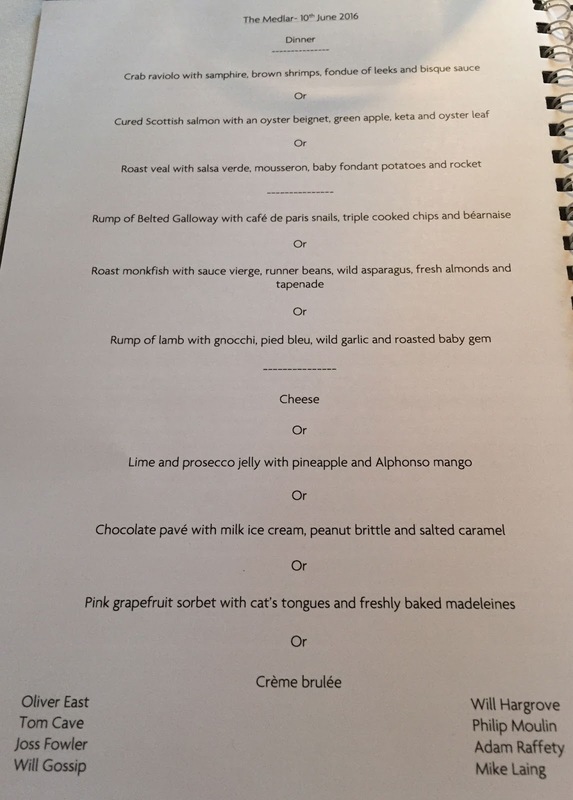 The venue was the, always good, Medlar Restaurant which does good wine service and is open to these sorts of evenings in the spacious room upstairs. Several of this group had been involved in the below dinners and tastings before. So 1996: I was half way through a Sport Studies degree and already with Mrs H, it was a good year from memory. Winewise it is one of those vintages that seemed to be good everywhere. The point of difference from other “all rounder” vintages like 2001 and 2010 is that in 1996 the Champagne was top notch which certainly can’t be said of 2001 or 2010. The format: Wines were served blind, mostly in pairs chosen by the sommelier. The fact that we knew the vintage highlighted to me that when I taste blind I try to assess age first, of course rather pointless in this scenario but almost unavoidable. Having just mentioned Champagne that was were we started with two superb and wonderfully contrasting wines. 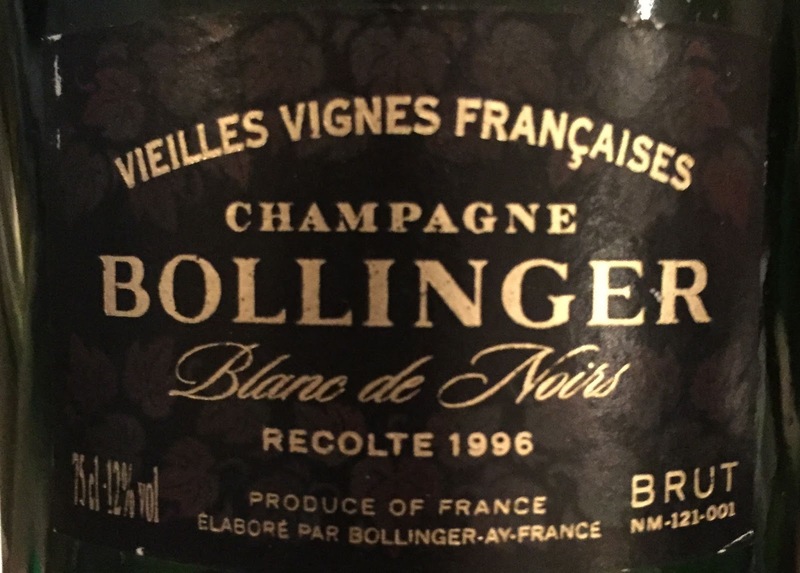 Bollinger Vieilles Vigne Francaise Blanc de Noirs 1996 and Taittinger Comtes de Champagne Blanc de Blancs 1996 were both exactly as you might hope from a Blanc de Noirs and a Blanc de Blancs. The Bollinger, I’d never had VVF before and may never have it again, was the drier and more intense of the pair, nutty with a saline and sherried character, it reminds we of top notch white Rioja in the fruit character but then has a classy texture and gorgeous mousse, this is a serious wine. The seriounesss of the Bolly is contrasted by the openness and easy enjoyment of the Comtes. This is less dry, more floral and a little more citrus, delicious. The Bollinger continued to evolve in glass and to me is a food wine. The Comtes slid down a treat. It was a fabulous pair to kick off with. Only one white Burgundy showed itself which I guess is understandable. 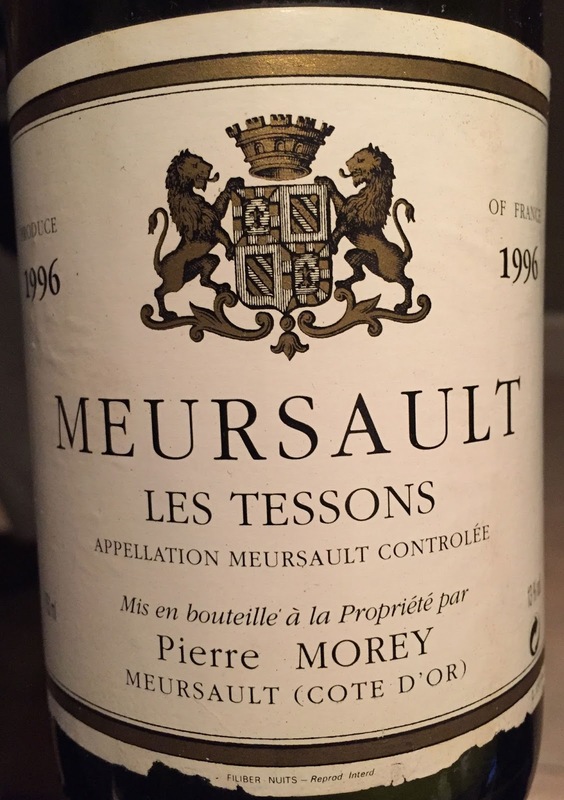 The one we had was Meursault Tessons 1996 from Pierre Morey, the bottle was in good shape. A lovely nose of reduction with a little ripe citrus in the background gave way to a more unctuous and slightly less refined palate but still a good one. This was in great shape for what it is, technically at least, a village wine albeit that Tesson is a pretty top end Lieu dit. 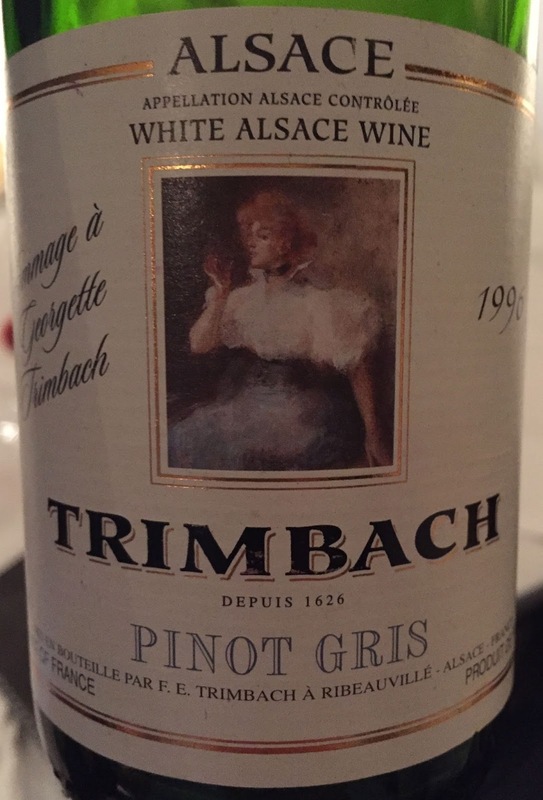 The second white we had was a unique bottling – Pinot Gris Hommage a Georgette Trimbach 1996 from Trimbach – which I have not managed to find out a lot about but can only imagine was a one-off tribute to the named. This was good, certainly not bone dry. The fruit character was apples, pears and a little apricot to start that then as air got in there there was a definite lychee character. This was delicious with that typical Alsace Pinot Gros character of weighty spice. A flexible wine to serve at almost any stage. We then had the first of several full on pairs of blind reds. First we were in Burgundy via a conversation where we tried to convince ourselves we might be in the northern rhone. Chambolle-Musigny 1er Cru Les Cras 1996 from Ghislaine Barthod was a little stalky with a note of cheesecloth maturity. This is a quite stern wine, not offering flirty Chambolle fruit, more like Gevrey in character. It was good but possibly a shade lean. 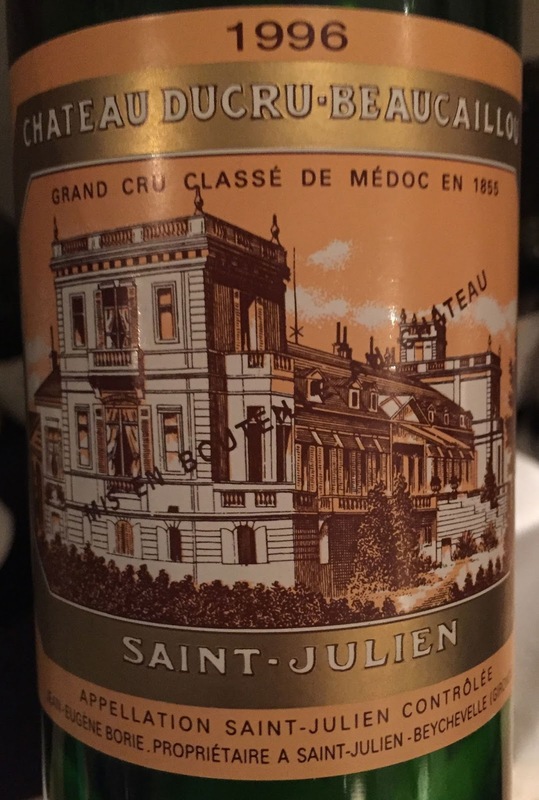 The other wine was Clos Vougeot Grand Cru 1996 from Grivot, this was richly pungent and much more dense, a good example of Clos Vougeot character. A shade reduced but in a good proper way. A nice pair without either suggesting, as seems to be the case, that there is a lot of sweet fruit about 1996 red burgundies. 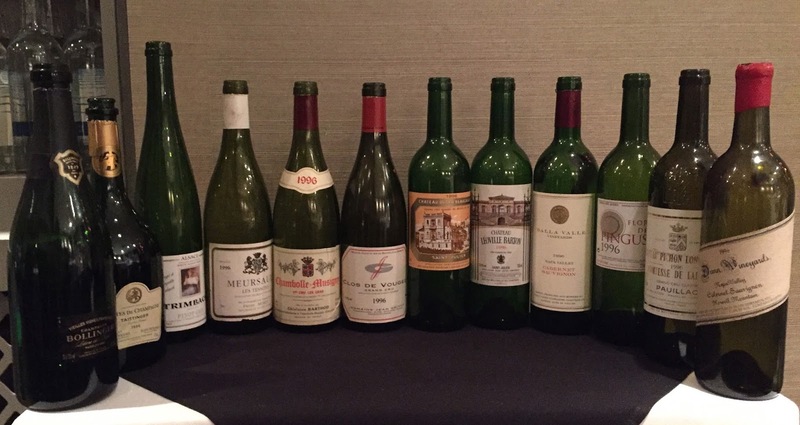 Bordeaux was always going to figure strongly in this tasting. The next pair turned out to be Ducru Beaucaillou 1996 and Leoville Barton 1996. Sadly the Barton was the only bottle on the evening that was not quite right. It was not corked but was very muted and a little metallic, a shame as it’s a good wine when bang on form. The Ducru was very good, rich, full, quite lush and juicy, a little volatile (no bad thing in my book) and with a good bit of Iron to it. It tasted how I imagine the Ducru’s made today will taste which is good. I was a big fan. Dalla Valle Cabernet Sauvignon 1996 went up against the Flor de Pingus 1996 that I took. 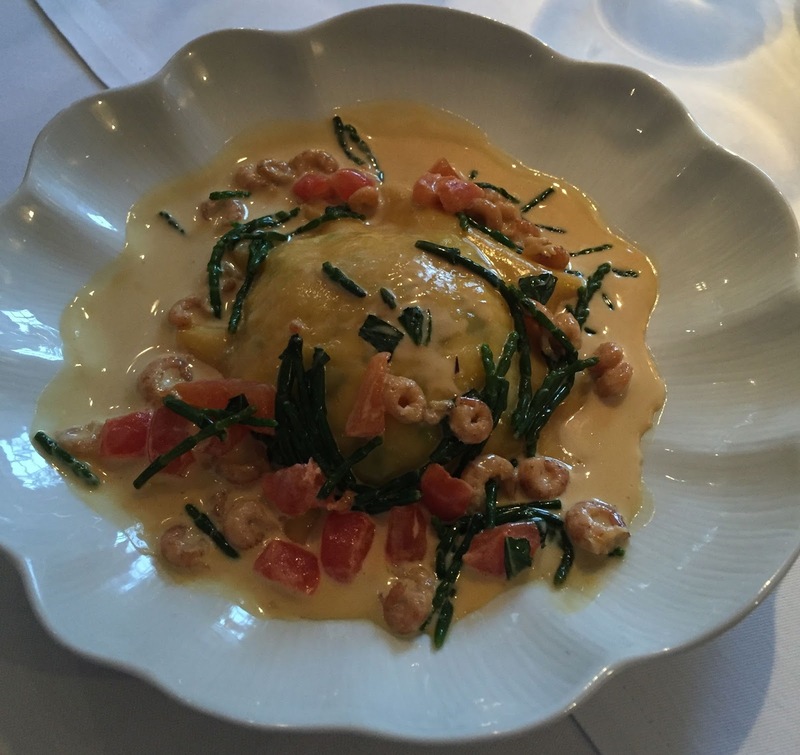 This was an interesting pairing the Dalla Valle was/is not an estate I know at all. The wine was bold, quite glycerol without being over the top, an edge of tarry savoury character. 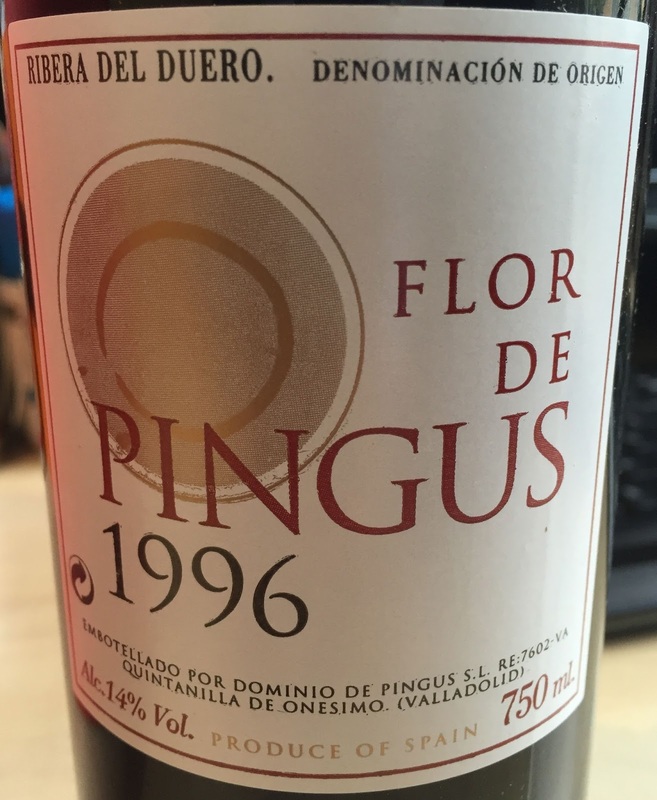 The Flor was a better balanced wine (the general view, not just my bias) with a little more poise, nobody got it as Spanish. I have had it a few times before and since and it’s a lovely wine. And so to our last pairing. 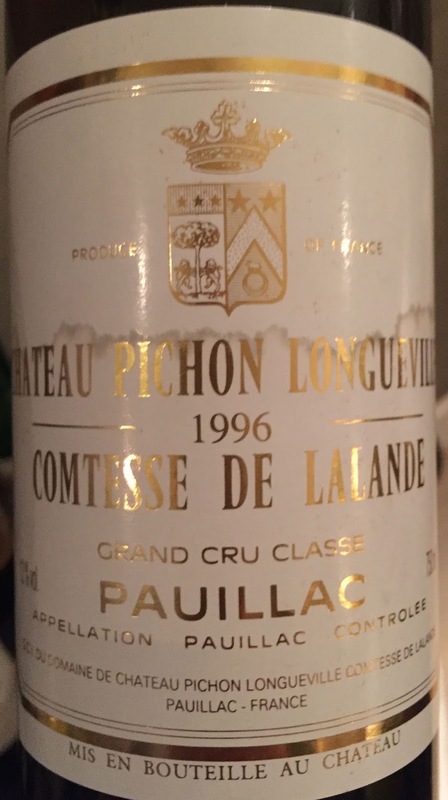 I think consensus had it that Pichon Lalande 1996 was the wine of the night. So classically left bank in nature, gunpowder, dark fruits, some saline and lovely deep but balanced texture. 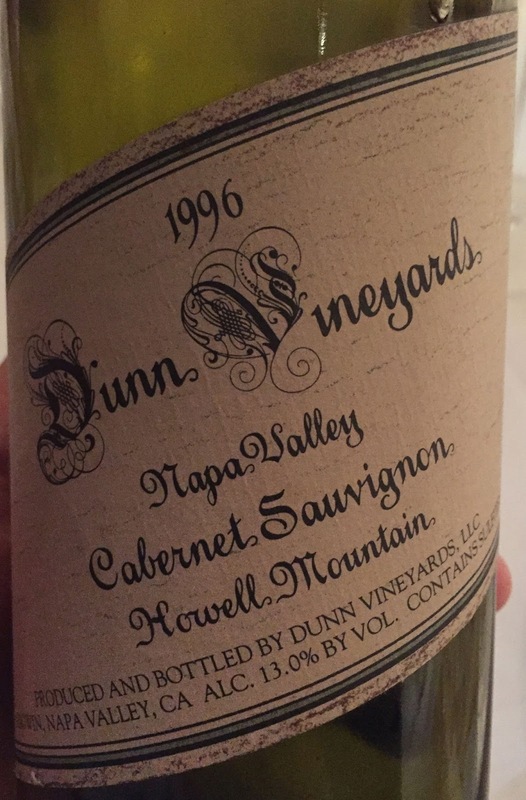 The wine it was “up against” was the Dunn Vineyards Howell Moutain Cabernet Sauvignon 1996 which had a deep power about it some of the tar of the Dalla Valle as well as licorice and a slightly syrupy feel. It was good and would have been all the more lovely if not up against the powerful grace of the Lalande. Whilst we had a nice squabble over the wines we drank a bottle of Latour a Pomerol 2009 which slightly suffered by comparison with more mature wines but is good from the previous tastings I have had if not quite at the level of the 2010. In fact 2009/2010 became one of the main discussion points. All in all, and from this small sample, 1996 remains a good all round vintage for the serious wine lover. I just want to thank everyone for their generous bottles and Mike for organising the evening so well. What next? Previous Previous post: Wales 2016 – wine and weather – a picture blog! Next Next post: The only people anywhere….